The stunning town of Luang Prabang and the journey south following the Mekong to Pakse and 4000 Islands makes this an unforgettable trip. Upon arrival, you will be met and transferred to your hotel. Depending on your arrival time, you may have an orientation of this delightful UNESCO preserved town. After breakfast we visit the Royal Palace Museum which hosts a range of interesting artifacts and a guided audio tour. 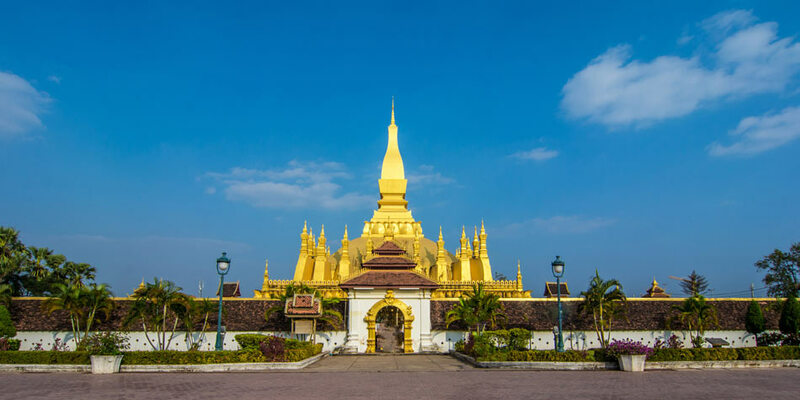 We then begin our temple tour taking in some the city’s most beautiful, including the magnificent Wat Xiengthong, with its roofs sweeping low to the ground, representing the classical Luang Prabang style, as well as Wat Mai and Wat Visoun, known as ‘The Water Melon Stupa’ due to its shape. In the afternoon we visit the excellent Arts and Ethnology Centre which gives us a further insight into the ethnic mix and culture of Laos. We then visit the weaving and textile villages of Ban Xangkhong and Ban Xienglek. Our final stop of the day is a climb up Mt Phousi, which offers a spectacular sunset and a panoramic view over Luang Prabang and the Mekong River. After lunch we say good bye to the village and drive to Ban Khoklin, which takes us through some beautiful scenery of mountains and paddy fields. 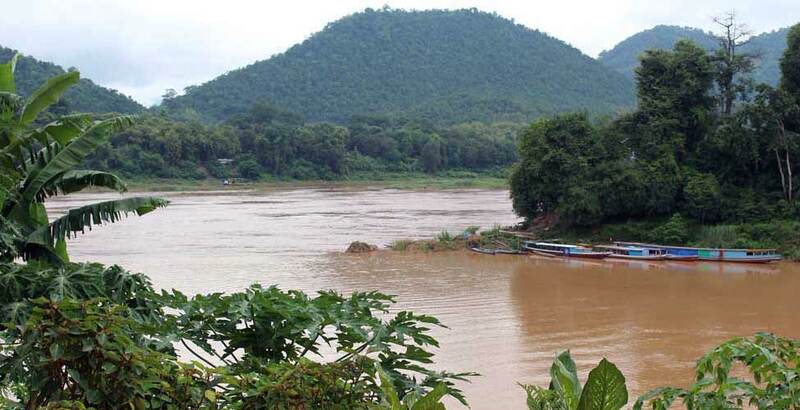 At Ban Khoklin we then board a private boat down the Nam Ou river for 30 minutes to Pak Ou Caves, two linked caves crammed with thousands of gold lacquered Buddha statues of various shapes and sizes left by pilgrims. and continue down the Mekong River to the picturesque village of Ban Chan, a pottery village. We then arrive back in Luang Prabang, by late afternoon. This morning you will be transferred to the airport in time for your domestic flight to Vientiane, upon arrival in the capital you will be met and transferred to your hotel. You will be transferred to the airport early this morning for the flight to Pakse. Upon arrival you will be met and transferred directly onto a private traditional boat for a 2-hour cruise to Champassak. Disembark at this ancient town of the Champa Kingdom and continue by car to Wat Phou, another World Heritage Site in Laos, which became recognized by UNESCO in 2002. Wat Phou is the site of ruins which were once part of a temple built some time before Angkor Wat in Siem Reap. 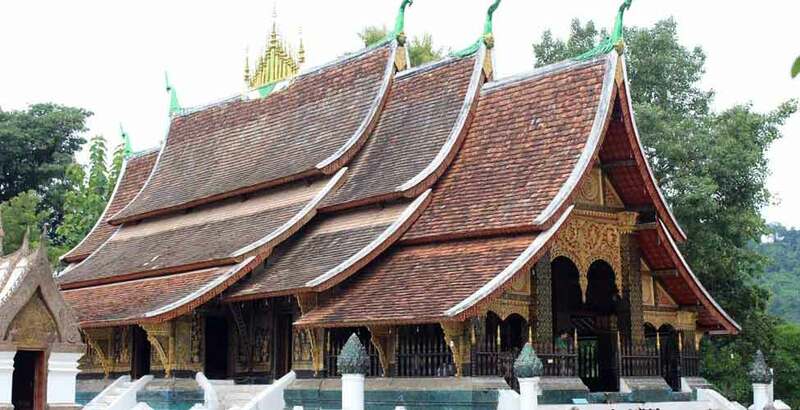 It contains some of the most ancient Khmer architecture which dates back to between the 7-11th centuries. 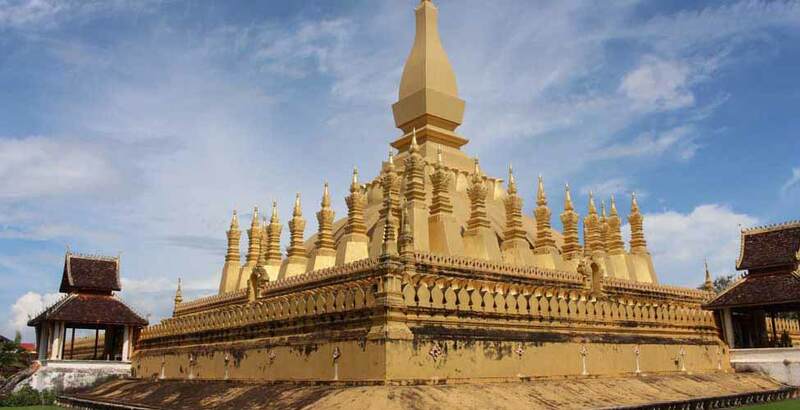 In the afternoon you will drive to Don Khong, an area of 4000 islands which is the widest point of the Mekong River during the rainy season, though during the dry months the river recedes, leaving behind thousands of islands and islets. This area of the river is also famous for being the home to the endangered Irrawaddy dolphins. En route, we visit the atmospheric ruins of the Khmer temple of Oup Mong at Ban Houei Tomo, located in the forest. Arrive at Khong Island via ferry early evening and stay overnight on the island. Following breakfast, we enjoy a visit to the surrounding countryside, and embark on a long tail boat tour to Don Khone, where we disembark and have the option of exploring the island by bicycle, which takes you to visit the remains of the French period and Liphi Waterfall or “the Corridor of the Devil”. We return to the mainland at the fishing village of Ban Nakasang and drive further south to visit Khone Phapheng. Khone Phapheng is considered the largest waterfall by volume in South East Asia; this is a really impressive site near the Lao-Cambodian border, set within an area which is teeming with wildlife, making this area one of the most breathtaking destinations in Laos. We then return back to Khong Island. This morning we leave early and drive north to the Bolaven Plateau. 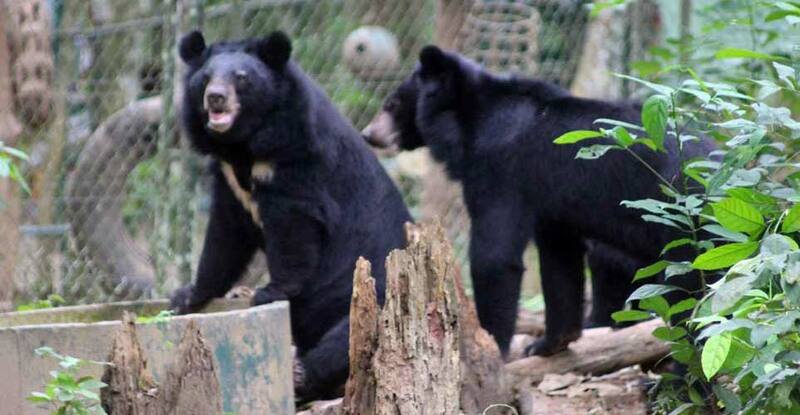 The Bolaven Plateau is known for its cooler temperature being located high above the Mekong Valley. Our first stop is to visit Houey Ten, a Katu village specializing in knifemaking. 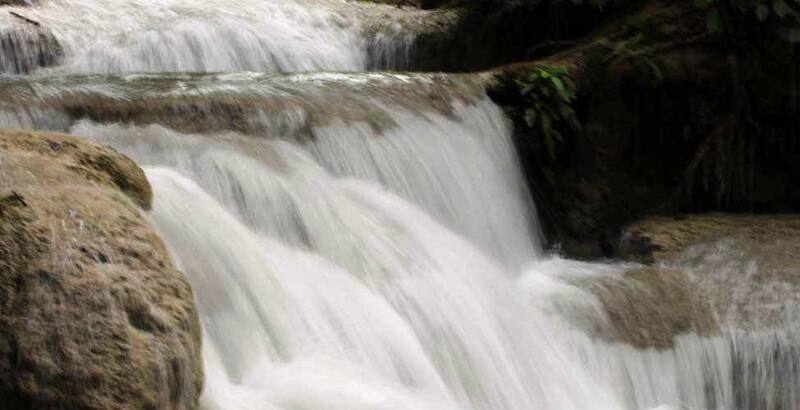 We then stop at a tea plantation, followed by a stop at Tad Fan Waterfall, a picturesque twin chute waterfall. In the afternoon, we then make a stop at a coffee plantation, en route to Tha Teng Market, a colourful ethnic minority food market. 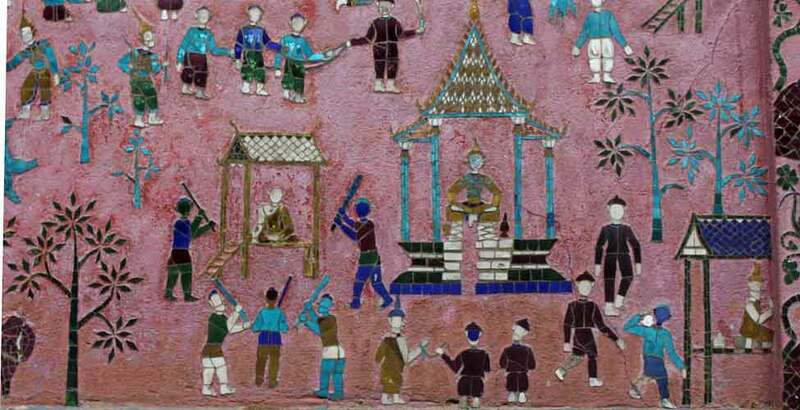 Next we explore another interesting minority village, Ban Bong Neua, an Alak village, that boasts a sacrificial altar. We arrive at the beautiful Tadlo Waterfall by late afternoon and later head back to Pakse, stopping at Ban Houi Hun, an Alak weaving village, where they keep coffins under their houses, and at another picturesque waterfall, Paxuam, before arriving back in Pakse by early evening.